Before Real Madrid’s 13th European Cup could be displayed at the Santiago Bernabeu on Friday, the club’s trophy cabinet needed to be enlarged, Spanish media reported. 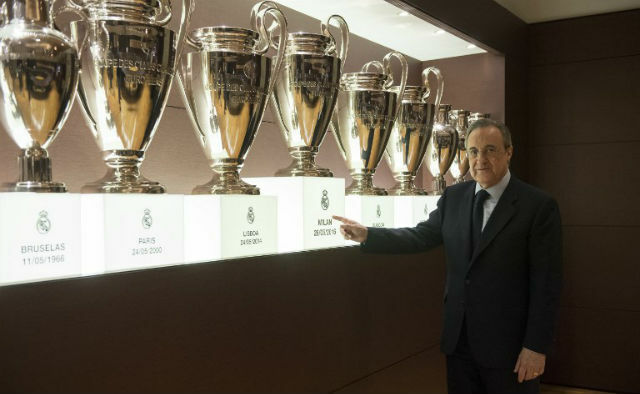 The 13 trophies are lined up in one of the rooms in the bowels of the stadium that together make up the third most visited museum in the Spanish capital. More than one million come each year to admire Real’s history. It was almost a week after the final before the latest “Big Ears”, as the Spanish have dubbed the trophy with its distinctive large handles, could be installed. Spanish sports daily Marca reported that when the glass case was renovated just four years ago, “the most optimistic of the club directors thought they needed to have three spare places.” None foresaw that the club would win the Champions League in 2014, 2016, 2017 and 2018.